Actresses on the red carpet at Hindustan Times's Style awards. Sonakshi Sinha looks stunning in a blue gown. Sona won the Style Game Changer award. Katrina Kaif won the Hottest Trendsetter award. Taapsee Pannu won the Style Trailblazer award. Anushka Sharma won the Most Stylish Readers Choice (female) award. 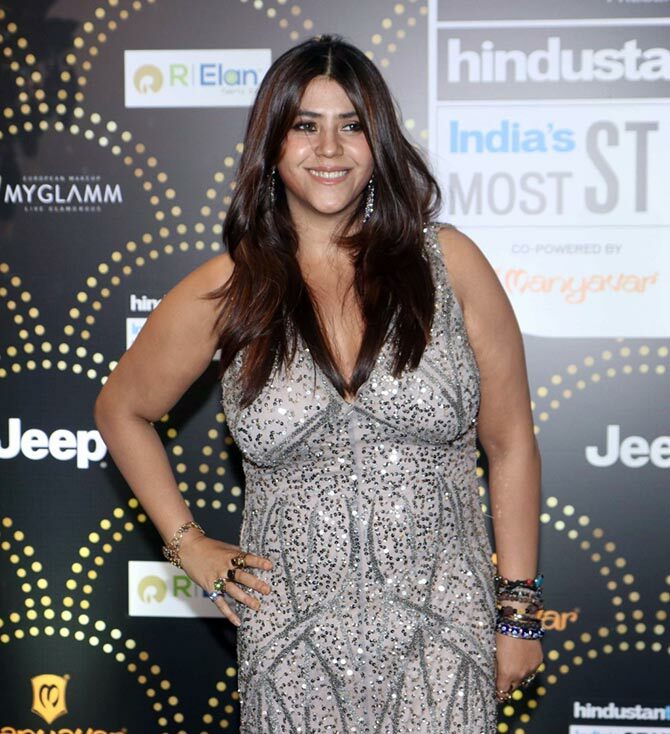 Ekta Kapoor won the Most Stylish Film-maker (female) award. 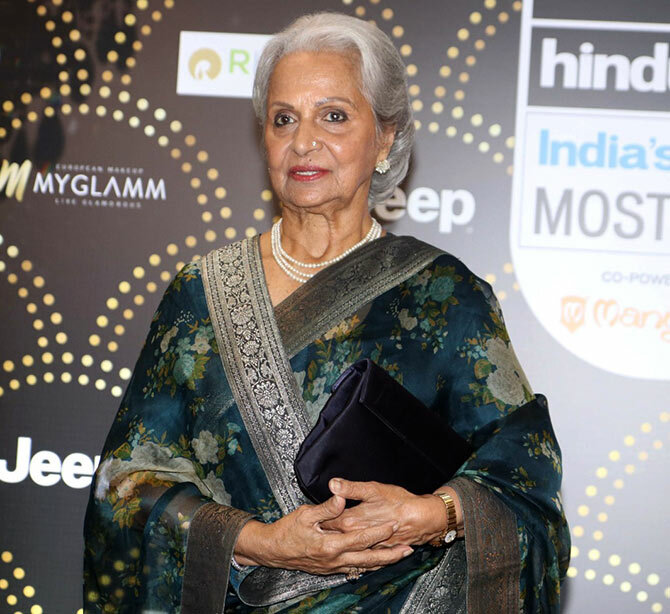 Movie legend Waheeda Rehman won the Style Hall of Fame award. 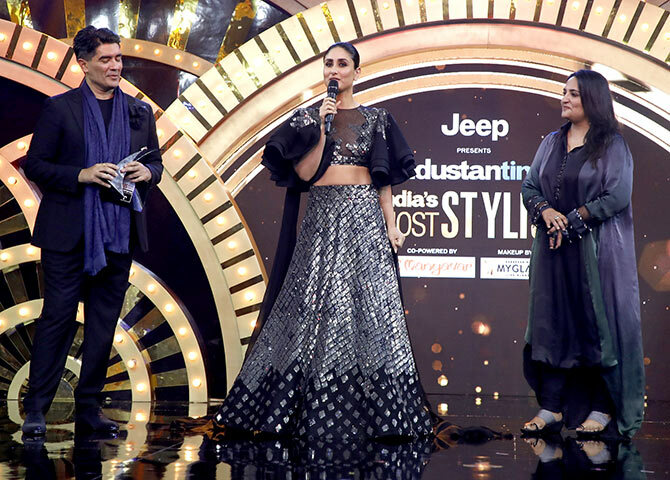 Kareena Kapoor won the Most Stylish Female (jury choice) award. 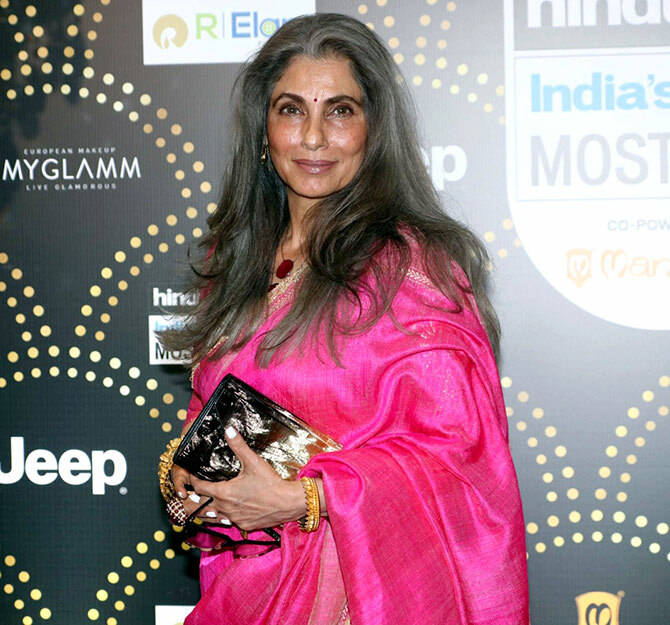 ... and Mrs Funnybones's mum Dimple Kapadia was present to cheer her.